1950 Easy Washing Machine original vintage advertisement. With the new spiralator. Faster, quieter and more efficient three way washing action. 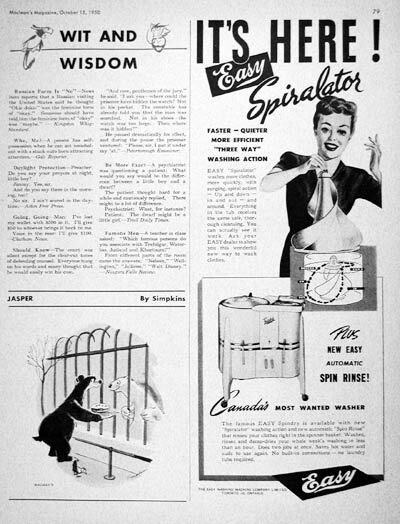 The spiralator washes more clothes more quickly. Canada's most wanted washer.